Valet parking is available at $15 per vehicle starting nightly from 5:00pm. Limited street parking is also available. Route 47 bus – Chestnut Street stop. Morimoto is a cutting-edge restaurant serving contemporary Japanese cuisine. Chef Masaharu Morimoto of Iron Chef fame prepares traditional dishes with a modern flair. 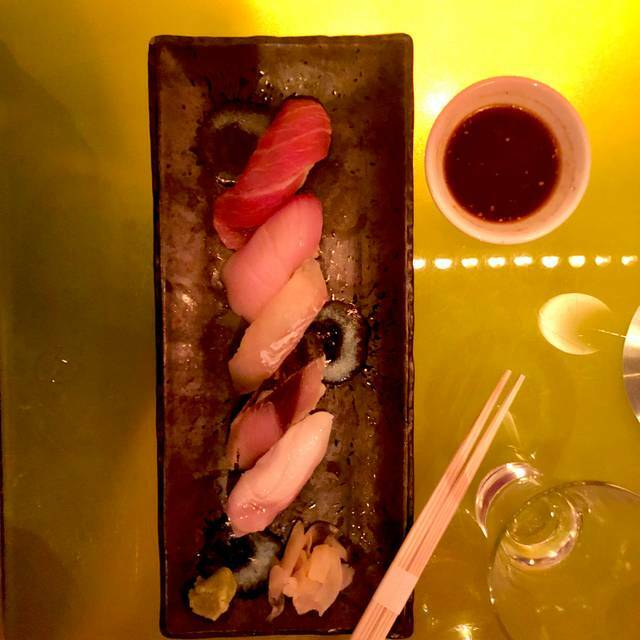 Reservations will be accommodated at the sushi bar or a table; both options are fabulous! Special requests are encouraged but not guaranteed; please call the restaurant to discuss your special requests well before your reservation date. Had the omakase, everything was delectable. Melt in your mouth sushi, wagyu massaging your tongue with flavor. 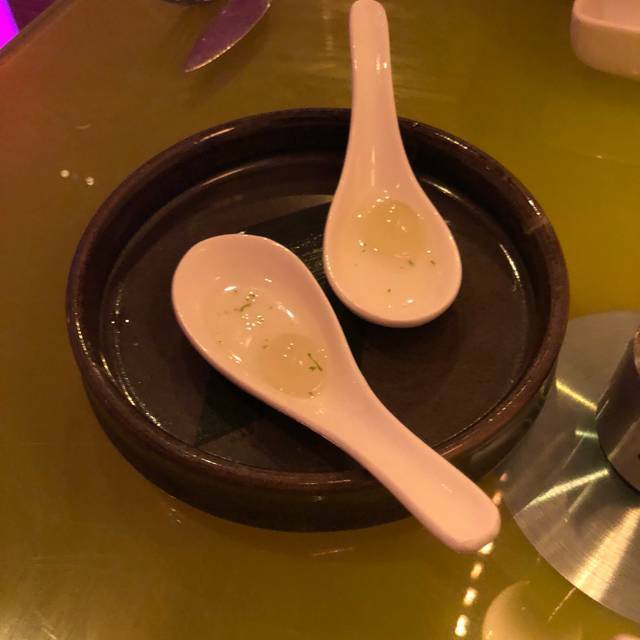 However, what I loved the most was the seafood soup my fiancee ordered, where you drink the broth separately as if it were tea. So much flavor in a nearly-clear broth. Amazing. Very expensive, but you know this. The price is justified. 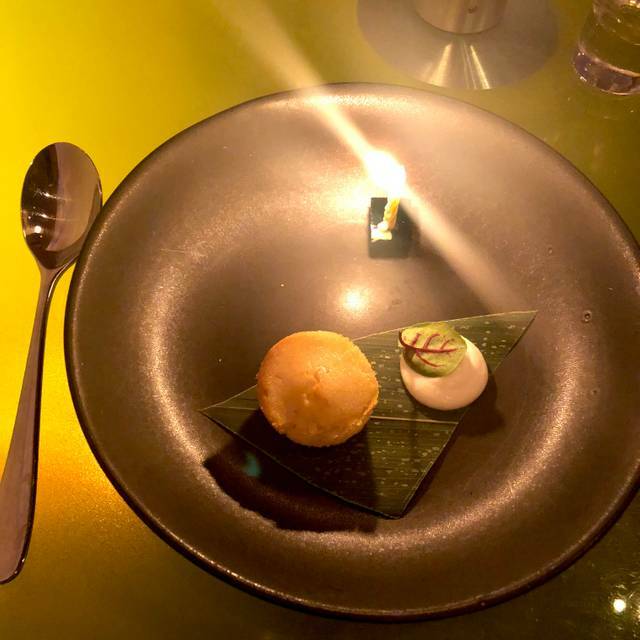 Dinning at Morimoto is an experience, one that I very much enjoyed. The service was stellar and the food was exquisite. We came back for the Omakase, as we did not have time to do it on our previous visit. The food was FANTASTIC, but the service was well below-par. Getting the wine pairing, and being told "it's an Italian white wine" without a vintage let alone a varietal is awkward at best. Paired drinks coming 10 minutes before the dish, dishes coming 5 minutes before the paired drinks... really contrasts our previous visit. The omakase never disappoints! The fusion of flavors take you on a wondrous journey from beginning to end. Every dish is thoughtfully prepared and fresh. 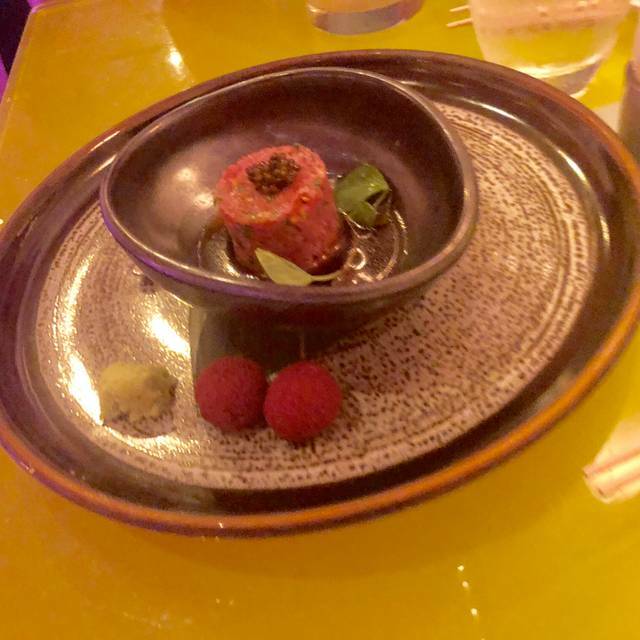 The Japanese wagyu course melts in your mouth. You’ll walk away completely satisfied without feeling weighted down. The service is top notch and the atmosphere has a cool vibe without being pretentious. I wish I could afford to eat here everyday, but I’m happy to visit on special occasions. My fav spot for sushi it’s amazing ! This was the second time I had been to Morimoto Philadelphia. I was visiting on a design trip... the first time, the food was great. However, this time it just did not measure up. I don't know if I would go out of my way again to visit Morimoto. The service was incredible though. 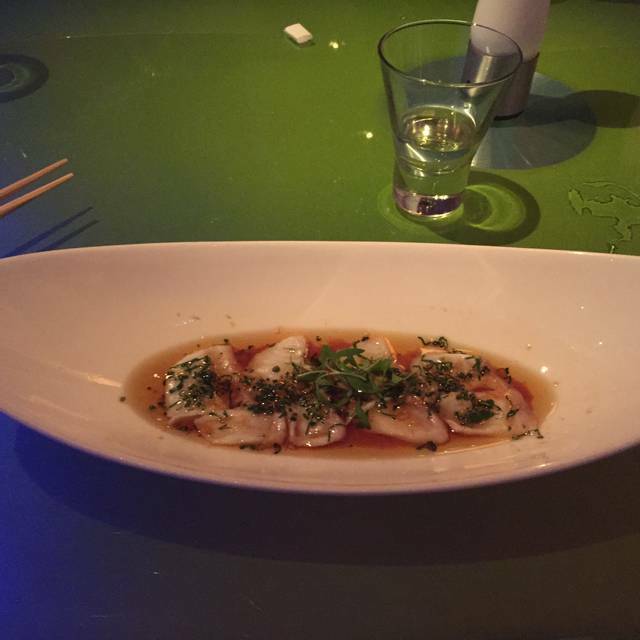 Morimoto is still THE place in Philadelphia to dine for creative fine exciting Japanese cuisine. There are newcomers, but none compare to the Wonderfull dining experience in a fun lively atmosphere. Great service too. Really amazing meal and experience. The soups are great. Amazing food and great atmosphere and friendly staff. Best meal I’ve had in a long time. Food is always good and have always had good service. The only downside is cost and it can be quite loud. 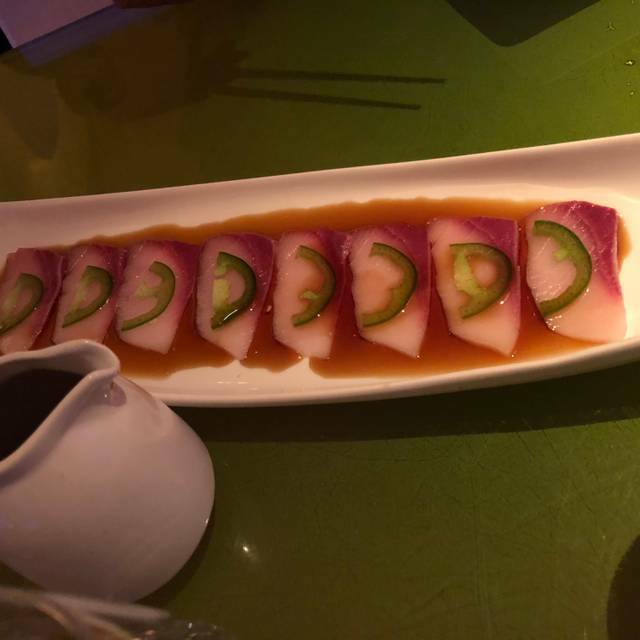 We especially enjoyed the Morimoto sashimi appetizer and the foie gras and grilled eel appetizer with pretty and tasty Asian pear garnish. Duck, Duck, Duck entree was nicely prepared also. Asian pear sorbet was very flavorful and refreshing. Overall a memorable meal at the Philadelphia flagship restaurant. Server was great and knowledgeable. Food was amazing!! A special occasion treat! We split the wagyu dumplings, brussel sprouts, $60 sushi combo, and sea bass. Everything was delightful--the wagyu dumplings were melt-in-your-mouth wonderful and of course the sushi was impeccable! The brussel sprouts weren't my favorite, I'd try something else next time. I enjoy the chef's combinations because it gets me to try things I wouldn't otherwise order. The $60 combo could be enough to split for dinner with some apps/sides. Morimoto always impresses when in the mood for great sushi. Came to Philly to see UPenn on a college visit. Son had the Omikase, delicious! Husband had a cooked sea bass and I had various sushi. Sat at sushi bar! Cool vibe in this place and excellent sushi! Some of the food is literally amazing. Everything is done well and I actually expected greater prices on some items — not that it was cheap but it’s the best of the best with respect to the fish. On the negative our table had a food allergy and it was handled very sloppily in my opinion by the staff. The food runners didn’t know what was in what for the most part. Wonderful overall experience. The food was exceptional, the staff was attentive and friendly. My husband and I had an amazing time. We arrived on time for a 7:45pm reservation. We were not seated for 25 minutes. We were celebrating a special anniversary and birthday, which of course was adversely affected. Most restaurants have figured out that they are here to serve their patrons, not the other way around. Long waits are not acceptable. The food was ok, but’s not nearly as good as other well known sushi style restaurants such as Nobu. The venue is very noisy, which makes talking difficult. Overall, a very disappointing night. A wonderful and unique setting for a special occasion meal. Everything is delicious and the service is superb. We had a great time! ambience is awesome and the service was amazing! The food was incredible. We had the rock shrimp tempura as an appetizer; delicious. The black cod melts in your mouth and flavors are incredible. Hope to visit again on next trip to Philly. 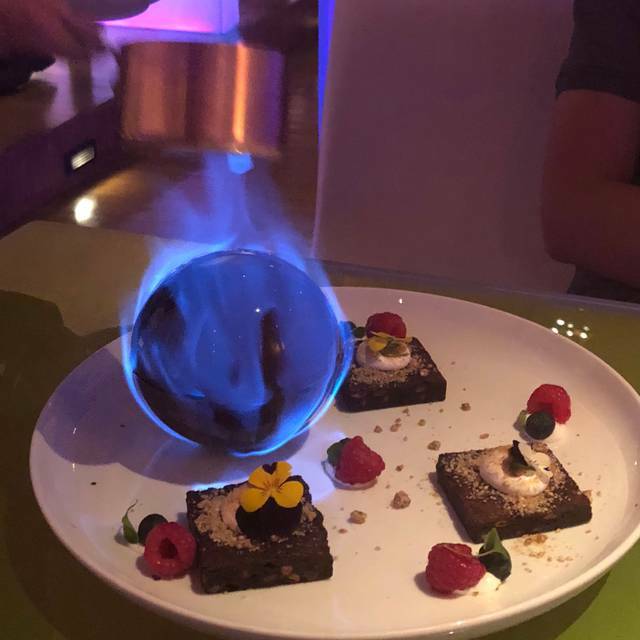 My boyfriend and I went to Morimoto for his birthday. We had the vegetable tempura rolls and I had the king salmon, while he had the A5 wagyu. All of the food was excellent - even as a non-beef-eater, I admit that I loved the wagyu, too! For dessert we had the s’mores and fiery chocolate tart, both of which were outstanding! The waiter explained each detail of the dishes we were enjoying and the service was especially excellent. The atmosphere of the restaurant, too, was a treat, with its changing colors, and even as the room filled up, the noise level remained pleasant. Lastly, if you’re going the non-alcoholic route, we both highly recommend the Mandarin ginger and rejuvenation drinks! 5 stars across the board. Psychedelic Asian vibe w/amazing sushi and entrees. The appetizers were amazing. 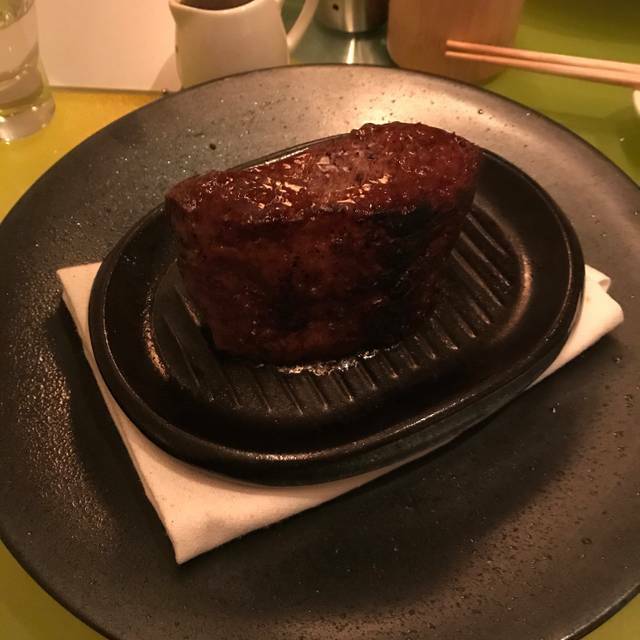 Best steak of my life! I will be back when I return to Philadelphia. Thank you, it was a perfect experience! Absolutely impressed by the ambience and decor. The service was impeccable and the servers explained every dish clearly and precise. I've been to Morimotos Napa and Maui but Phiily is hands down the best all around. Will definitely come back when in town. Makota was the perfect person to guide us through our first experience at Morimoto. He answered all of our questions (and more), provided excellent recommendations on food and drinks, we couldn’t be more pleased. He started us off with a delicious (surprise) appetizer, followed by the chef’s selection of rolls, sushi, and sashimi (see picture). My friend indulged in two Lychee martini’s and per Makota’s recommendation I started with the Dassai, Otter Fest 50 sake followed by the Dewatsuru sake, both of which were excellent. I’m not usually the biggest sake fan but both were light and smooth. Shockingly enough - all of this cost less than $250 total for three people when we expected to pay $300+ for sushi this high in quality. We’ll definitely be back!! Morimoto is a great place for a special night out. Perfect for a date night when your looking to do something extra. The bar and service was exceptional as we were able to wait there for our table. Food and service were excellent. Wish the music was a bit softer so we didn’t have to yell to hear each other. Perfection!! We decided to do the Omikase and it was delicious start to finish. Servous was impeccable and timing was right. It was my birthday and I was very happy. Beautiful looking, sushi rolls excellent, sashimi very good for $60.00 only 16 small pieces. In an hour were served our soup and edamame we asked where was our food we were told they were backed up this was a Tuesday night??? I can't imagine the weekend what the wait would be for your sushi/sashimi. I eat at a great Japanese restaurant in Lyndhurst for $23.00 I get 21 pcs., miso soup and white rice. Their sushi/sashimi just as good. Everything here is À la carte they were busy so people don't mind paying a lot for a little amount of food. Sushi was not nearly as good as expected with the Morimoto name. Cuts of sashimi were thick and hard to swallow. All in all, disappointed. The food was outstanding. Every bite was delicious and the flavors were unique. The ambiance was unusual and captivating. The price was very high but worth it. 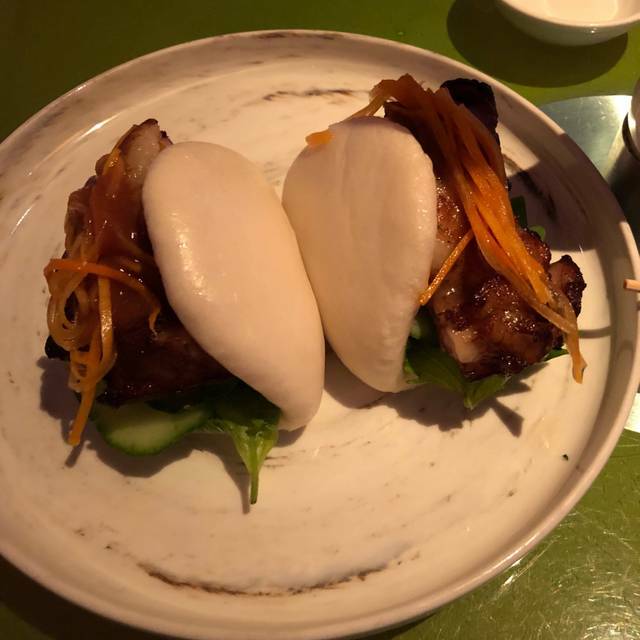 The food was excellent and the service was wonderful! Omakase was delicious. Service impeccable. Service and food were great. Decor is looking a little tired. Broken banquette seat in lounge and cushions are obviously worn in dining room. Def could use a renovation.